The Bulls may have to begin counting the little victories the rest of this season since the big ones likely will evade them, like Friday’s 99-83 loss to the Detroit Pistons. 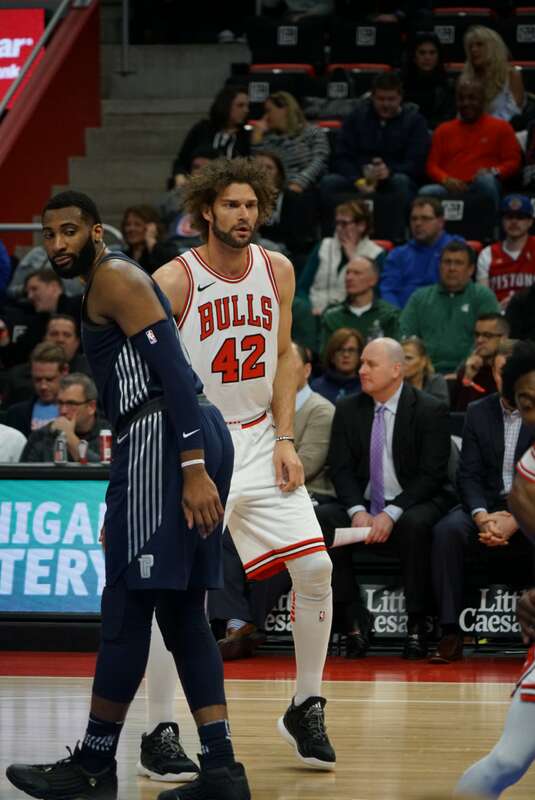 The Bulls, urged on by the NBA and its rules about resting healthy players, started Robin Lopez and Justin Holiday together for the first time since the All-Star break. The two, especially Lopez with a three pointer and a deft left handed drive for a score and nine first quarter points, drove the Bulls to their best start in weeks with a quick 13-7 lead and 26-21 after one quarter. But in committing to development within the NBA’s directives, the Bulls didn’t play either Lopez or Holiday after the first quarter. It didn’t figure well for the Bulls core players of Zach LaVine, Kris Dunn and Lauri Markkanen. They combined to shoot 12 of 39 (13 of 49 if you add in Bobby Portis’ one of 10) and the trio had the poorest plus/minus rankings in the game. 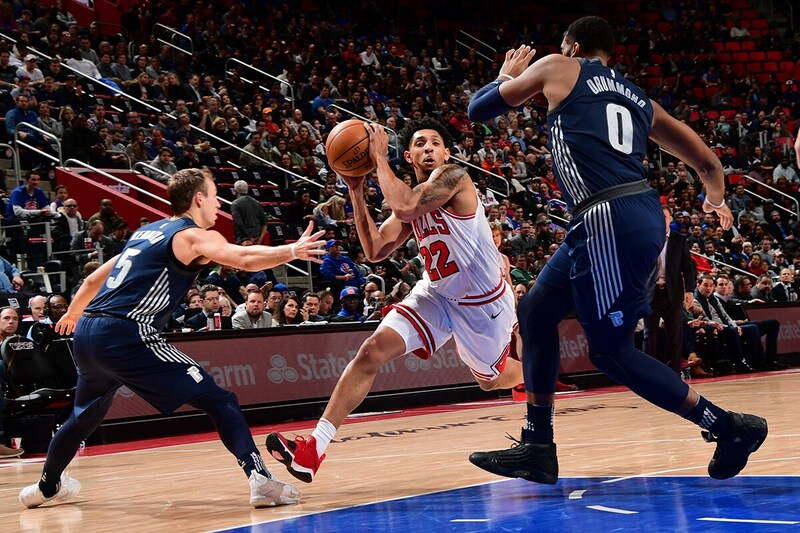 But in his best game as a Bull, Cameron Payne came off the bench to lead the Bulls in their best stretch, a 10-point lead midway through the second quarter. Payne matched a career high with 17 points. Dunn had 12 points as the only other Bulls player to score in double figures. LaVine had eight and Markkanen six. Lopez was four of four for nine points in his 12 minutes. “I thought we came out really well,” said Bulls coach Fred Hoiberg. “Obviously, we missed a lot of shots. When you shoot 35 percent on the road you don’t give yourself much of a chance. But we held them under 100 points; that’s a positive. Hopefully ball goes in the hoop a little better Sunday (in Atlanta). It’s not quite a breakthrough, but the much maligned Payne has started to show progress as a backup point guard. 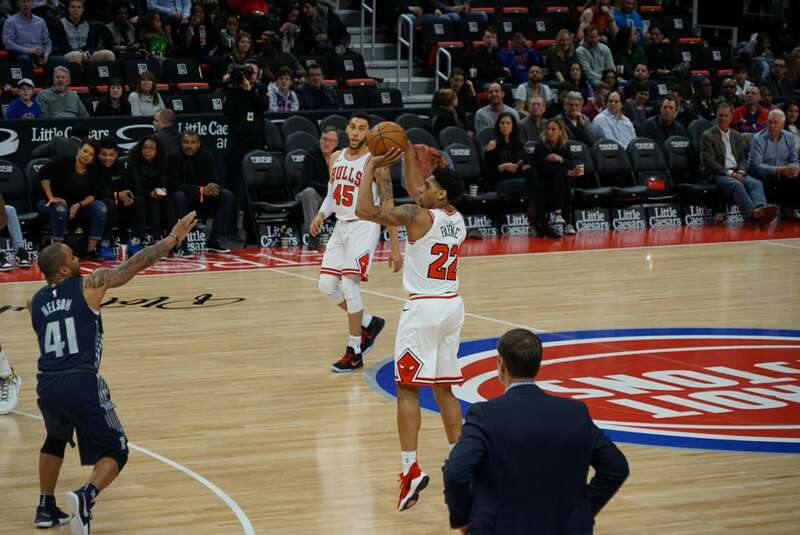 Payne is averaging 11.3 points and shooting 56 percent overall and six of 11 on threes in 19 minutes per game the last three games in his best run as a Bull. He doesn’t get many assists, but he has been pushing the ball fluidly to get into offense and has been disruptive on defense. He had a pair of steals and another he wasn’t credited for when he pressured the Pistons ball handler to start the second half and the Pistons lost the ball. He’s not exactly about to surpass Dunn, who played the best among The Three, but Payne seems to be becoming more a pain to the opposition this time. The Bulls fell to 22-43 and have lost seven of their last nine. The Pistons led by Blake Griffin’s 25 points and 17 rebounds from Andre Drummond are 30-36 trying desperately for the last playoff spot in the Eastern Conference. For the Bulls, it’s become development. And no one seemingly has more room to develop than Payne. He came last year at a tumultuous time for the Bulls, just getting past the Jimmy Butler, Dwyane Wade, Rajon Rondo drama, traded for popular Taj Gibson and lottery pick Doug McDermott, basically ordered into the starting lineup after rarely having played in Oklahoma City. Then playing poorly and soon hurt again, undergoing yet another foot surgery. Payne had become the face of fan frustration as he took some G-league stints. He had the best plus/minus Friday other than Lopez and Holiday along those who played regular minutes. He’s also scored in double figures three of the last seven games. He’s played more in control and been productive, for the most part, with his reserve unit. Hoiberg said the Bulls did play hard Friday, though not well. That frustration seemed most evident on the face and in the actions of LaVine, who continued his roller coaster week, one of 11 against Boston, eight of 14 against Memphis, three of 15 Friday. That was as the Pistons made a late second quarter charge against the starters with David Nwaba and Portis to take a 49-47 halftime lead. With Nwaba and Portis starting the second half for Lopez and Holiday, the Pistons began to fire on all cylinders for a 63-52 lead midway through the third quarter. Detroit kept that 11-point margin after three and maintained a double digit lead through the fourth quarter. For his part, Lopez remained upbeat and supportive and, as usual, available to reporters. Holiday has also been positive, though generally not around media other than when he played often. It’s a commendable spirit and why you’d want to retain a player like Lopez. Whether it’s the changing lineups, the infrequency of playing together, their various absences or the strain of trying to stand out for the franchise, the trio of Dunn, Markkanen and LaVine continue to be unpredictable. “It doesn’t matter who’s out there on the floor,” said Hoiberg. “You still have to go out and play with great effort and hopefully play with unselfishness. There is inconsistency right now, but I don’t think it’s too unexpected with Kris Dunn being out for a month and Zach being out for almost a full calendar year. Lauri at this stage of his career has played a ton of minutes. This is nothing he’s ever been through before. Those guys were awesome in the last game and unfortunately couldn’t get it going tonight.